Our separators are designed to cover all gas and compressed air applications. 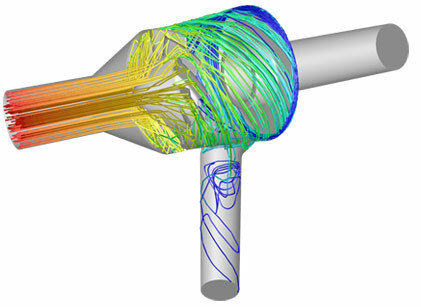 The use of computation fluid dynamics (CFD) is a key part of Kelburn Engineering's product development and performance optimisation. The use of CFD technology provides us with proven means for accurately modelling our cyclone separators, scrubbers and filtration products, simulating the gas and liquid flows through the units. 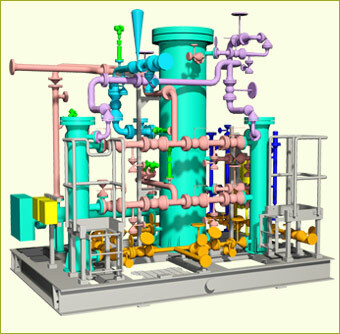 This enables us to visualise the flow distribution within the separation systems and accurately predict the separator performance for specific applications over the range of operating conditions. Through this process we are able to continually develop our products and produce design improvement, over greatly reduced time cycles. We can also supply our clients with a specific separation solution modelled on their existing process conditions, ensuring the optimum separation solution is supplied. We can provide these accurate modelling solutions for new projects at the design stage, retrofit applications, de-bottlenecking and to troubleshoot existing systems.